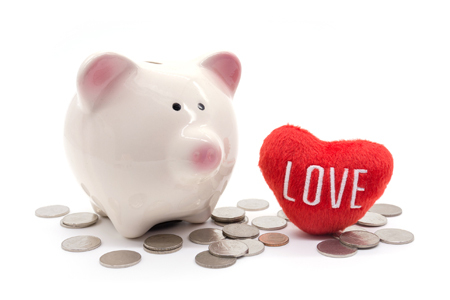 While talking about money is not the most romantic way to spend an evening, it's worth putting some time aside to explore shared goals and the way you manage your money as a twosome. Our approach to managing household finances can make a big difference to the health of a relationship. Thankfully, the old line about “I earn the money. She spends it” no longer has relevance in modern relationships. Today’s lifestyles, housing commitments and our career ambitions mean that in many households both adults work, each making a valuable contribution to overall income. Yet the question of who controls the purse strings continues to throw up some interesting responses. There’s no shortage of research on this issue, and the general gist is that the majority of men say they make the financial decisions in a household while the majority of women believe they control the money. Confusing, right? The thing is, the real issue shouldn’t be who controls the cash but rather how you manage your finances as a couple. This is an area where there are plenty of variations, and there’s no right or wrong approach. Some couples like to maintain almost entirely separate financial lives by only pooling money where necessary to pay the mortgage or rent and other shared bills. Others maintain a joint account, pooling most or part of each individual pay packet to cover household expenses, and holding only a limited quantity of cash in individual accounts to cover personal spending like hobbies or treats. Exactly how you run your system is entirely a matter of choice, and it is a case of determining what works best for you and your partner. Maintaining multiple bank accounts can mean paying more in bank fees though this can be a small price to pay if it gives you both a degree of financial independence – this in itself can be a relationship saver. There is virtually no limit to the options available to divide and share a household’s combined income and expenses. What matters is that you take the time to devise a system that works for you. Be prepared to fine-tune your approach, or scrap it altogether, if it isn’t living up to expectations. The whole point of the exercise is to work as a team. At the very least, both parties of a couple should know where household money is being spent. Having a clear idea of your combined financial position could stand you in good stead – and help you avoid unpleasant surprises if the relationship ever hits the rocks. In our experience though, working together to achieve shared financial goals can really strengthen a relationship over time. Contact us for a tailored plan of action that can help you and your spouse or partner achieve financial harmony – and harness the power of two.